Another freshly leaked look at the LeBron 11. 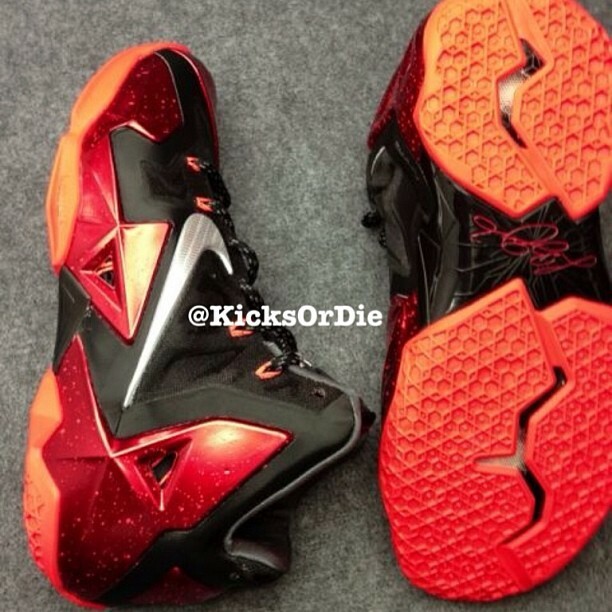 We get another freshly leaked look at the Nike LeBron 11 this morning, seen here with the upcoming Black/Red colorway. With a slightly more detailed look at this colorway than the last preview, we can see that the shoe features a black Hyperfuse upper with an orange speckled red Armorposite upper, with an orange outsole. A metallic silver Swoosh and grey collar liner add a couple more colors to the palette. Now that you've seen the latest leak, what's your take on this Black/Red colorway of the LeBron 11?